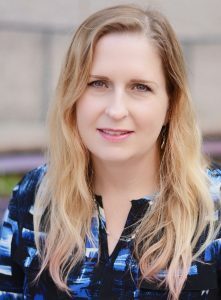 Devrah J. Otten, a licensed medical social worker (LCSW), from Houston, Texas, has been awarded Board Certification by the American Association of Bariatric Counselors (AABC). After completing a specialized training and education program in bariatric science she was recently credentialed as a Board Certified Bariatric Counselor (CBC). Ms. Otten, currently serves as the primary social worker for the kidney transplant program at Texas Children’s Hospital in Houston. She is an integral member of the multi-disciplinary transplant team that provides counseling, care and treatment for children and their family’s pre and post kidney transplant. Devrah completed her professional education at the University of Texas in Austin and now has more than 17 years of clinical, medical social work experience, including geriatrics, orthopedics, oncology and emergency medicine. Her vast clinical experience and recognition of the obesity pandemic and the need for specialized competency in bariatric science inspired her post-graduate training and certification with AABC. Her experience, scholarship and commitment to public health will further the AABC global mission of providing best practices in the care and treatment of obesities for children and adults. The American Association of Bariatric Counseling is an official US Federal not-for-profit, professional international fellowship association dedicated to the advancement of bariatric science education and to the enhancement of obesity care and treatment. Founded in 2005, AABC is the world’s largest association exclusively representing professional multi-disciplinary bariatric counselors. Board Certification by AABC affirms that their credentialed fellows are licensed/registered/certified health or education professionals that have completed a specialized academic program in Bariatric Science and must continue their specialized education and training to maintain their Board Certification. This entry was posted in National Board Certifications and tagged slider2 by admin. Bookmark the permalink.